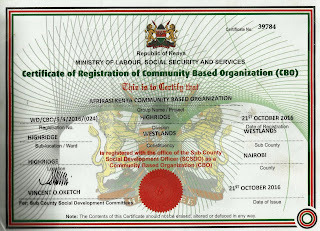 Afrikasi Kenya Community Based Organization is a duly registered non-profit organization that specializes in educational sponsorship for the needy and disadvantaged school going children and young adults from pre-school to University mainly from the Deep Sea slums. 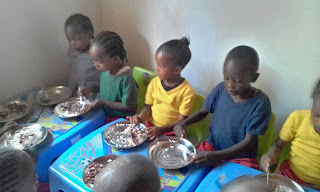 Afrikasi Kenya CBO also runs a fully fledged Child Care Center called Afrikasi Kindergarten based in Lower Kabete that offers subsidized quality education to the needy nursery going children mainly from DeepSea slums and the neighbouring environs. · Identifying and providing Education and training for the children from needy homes that will finally lead to gainful employment and family support. · Assisting parents / adults gain skills to help them provide basic care and provision for their families. To be a lead provider of sustainable education, training and health support services for the empowerment of children and youth and improvement of livelihoods. To provide educational facilities and opportunities for the empowerment of children and youth from vulnerable and marginalized homes and communities in order for them to better their lives and climb out of poverty. The Deep Sea slums are located in Highridge, Parklands area. It’s over 12,000 residents are mostly children and youth. The slum is not commonly known to many Kenyans since it is uniquely sandwiched between very well developed and affluent residential and business locations of Highridge, Westlands, Parklands and Muthaiga. The adult residents mainly supply casual labour force to these plush neighborhoods. Afrikasi Kenya CBO has identified and mobilized over 300 school going children and youth who wish to pursue their studies to the highest possible level so that they can come out of this cycle of poverty but their parents cannot afford to pay their school fees. 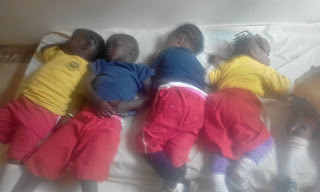 Whereas the government offers free primary education and whereas there is increased availability of bursaries from the Constituencies Development Fund (CDF), the pressing burden of Secondary School fees and associated expenses such as uniforms, boarding and other learning materials, meals, sanitary towels and a few other levies that the schools charge, still prevent students from furthering their education. 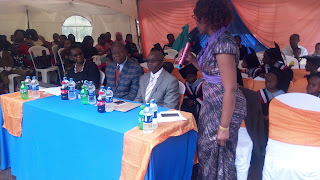 Over 35 candidates from Deep Sea Slums have just sat their Kenya Primary Certificate of Education (KPCE) examinations and have passed but have no school fees and requirements to continue with their education. The average school fees for a form one student including the requirements is KES 40,000 for the first term and KES 25,000 for the consecutive terms. There’s need for interventions to help these well deserving and hard working students to migrate from this cycle of poverty. Our success in these endeavors are all there to see. Many of the graduates from our programs have gone on to lead healthier and self supporting lives, while others are working with us assisting others to move up as well. With more resources, our programs will no doubt transform the phase of Deep Sea slums in particular and other slums as well as poor rural areas in Kenya.